RK Mission Critical successfully fabricated, delivered and installed five data storage modules to colocation customers in just over six weeks. 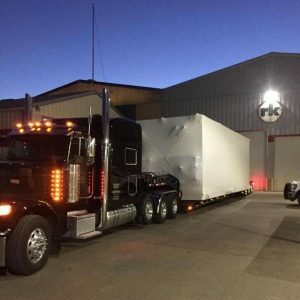 Each of the RK Mission Critical data modules are 42′ x 12′ x 16′ and weigh 30,000 lbs. The modules are designed with mechanical and electrical redundancy, which supports zero downtime; a critical requirement of customers.